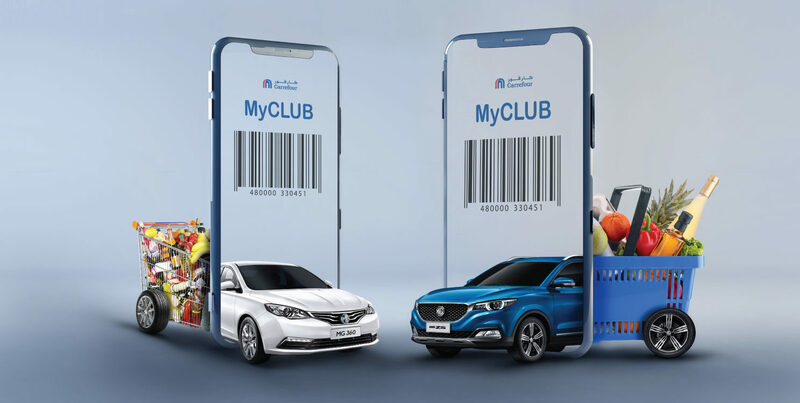 Zayani Motors, the exclusive distributor of MG in the Kingdom of Bahrain, and Carrefour, which is operated in Bahrain by Majid Al Futtaim, today launched a promotional campaign aimed at rewarding its customers. Held from March 27, 2019, to April 30, 2019, across all 12 of Carrefour’s branches, the raffle will offer five lucky winners the chance to own the latest models within MG’s portfolio. These include two MG ZS, MG’s state-of-the-art youthful compact SUVs, and three of their latest exuberant sedans; the MG 360. All members of Carrefour’s MyCLUB loyalty program are eligible for the draw and will receive one raffle for every BD10 they spend in store. Participating Carrefour locations include: City Centre Bahrain, Bahrain Mall, Enma Mall, Seef Mall (Arad), Riffa Village Mall, Wadi Al Sail Mall, Saar Mall, Exhibition Road, Carrefour Muharraq, Carrefour Manama, Carrefour Isa town and Juffair Oasis Mall. For more information about MG vehicles, call or visit Zayani Motors showrooms in Ma’ameer (+97317703703) or Arad (+97317465533).